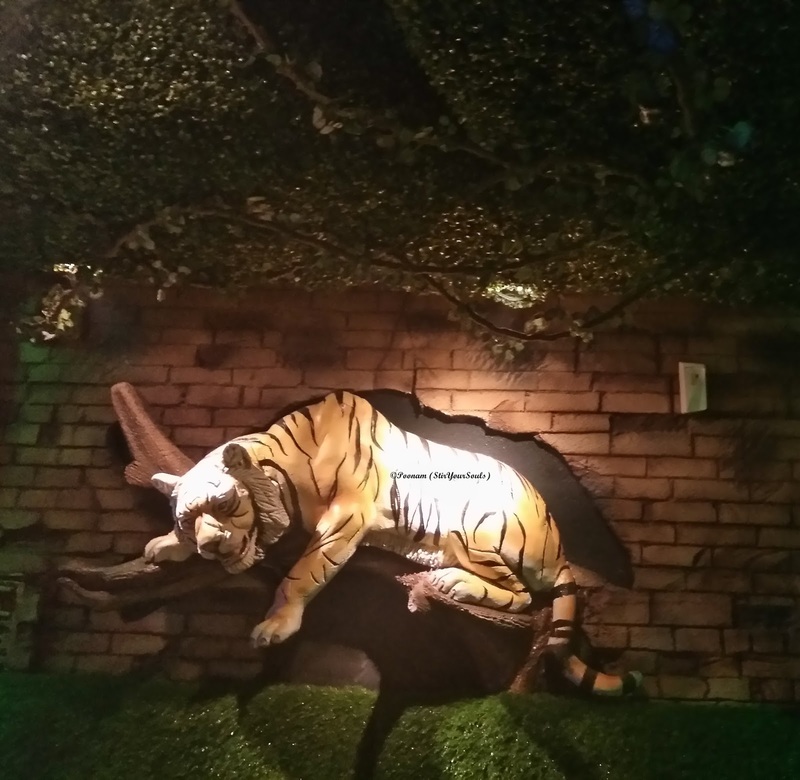 Jungle Jamboree, located in Connaught Place is a wilderness hideout. 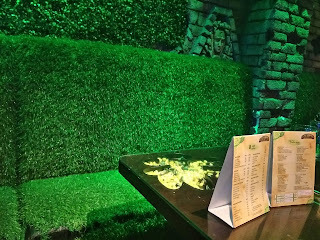 It's a wild world out there, but with sobriety in their food and a knack for on-spot service up their sleeve, this Jungle is here to delight. 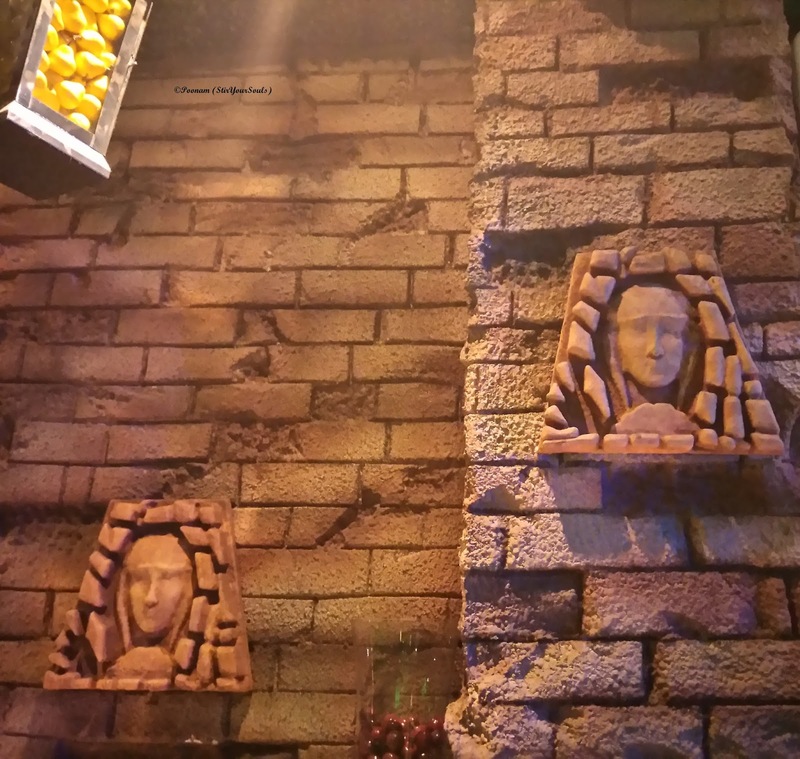 I had a chance to visit this outlet of Jungle Jamboree on a dinner spree earlier this month. 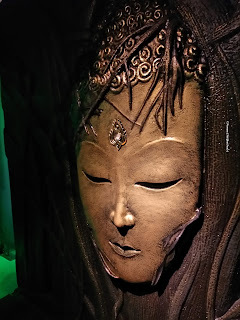 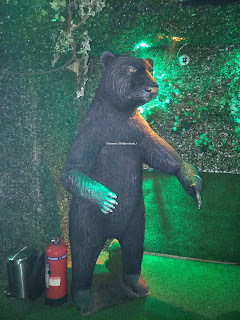 While their life-size mascot statuette reminded me of Commonwealth Games' Shera and Baloo right at the entrance, I was also reminded of Pai Vista's Jungle - The Restaurant, which I had been to, in the past during my stay in Mysore, that had a similar theme. 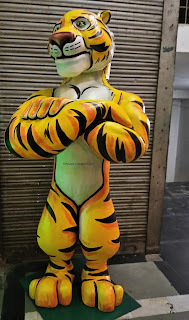 Jungle Jamboree incorporates the best of Mowgli's Jungle and Ariel's Aqua World on its first of three floors. 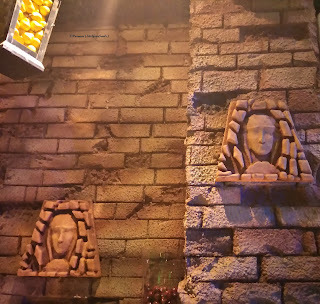 It also has demarcated, the ambience for each floor. 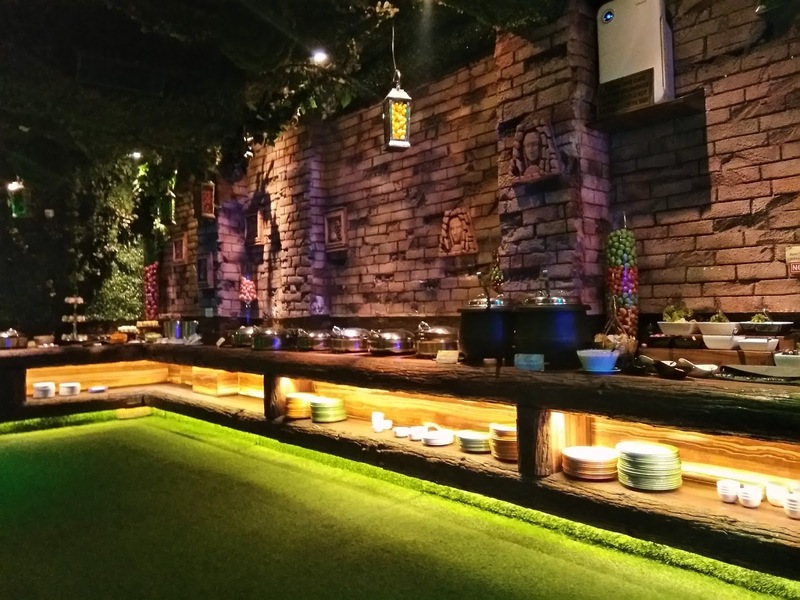 While the first one is a Buffet, with spacious seating for catering to patrons, the second one has a dedicated Kids' Area equipped with swings, games and lots of free space to roam, jump, and hop around - basically have fun. 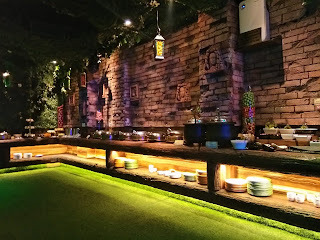 This floor also caters to Ala Carte preferences. 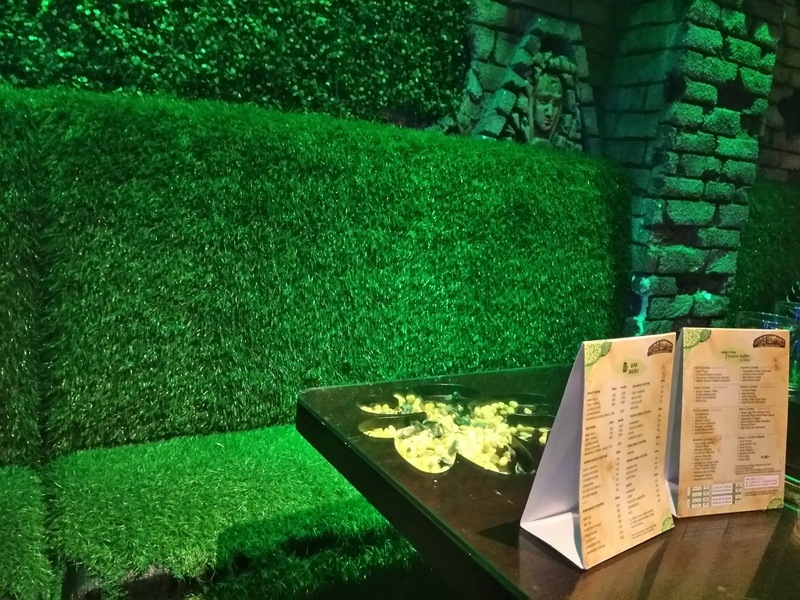 The third one is a lounge which one could probably pick for partying with friends or family because Jungle Jamboree's ambience ensures that you have a good time, with good company and good food, not to mention light music that keeps playing in the background. 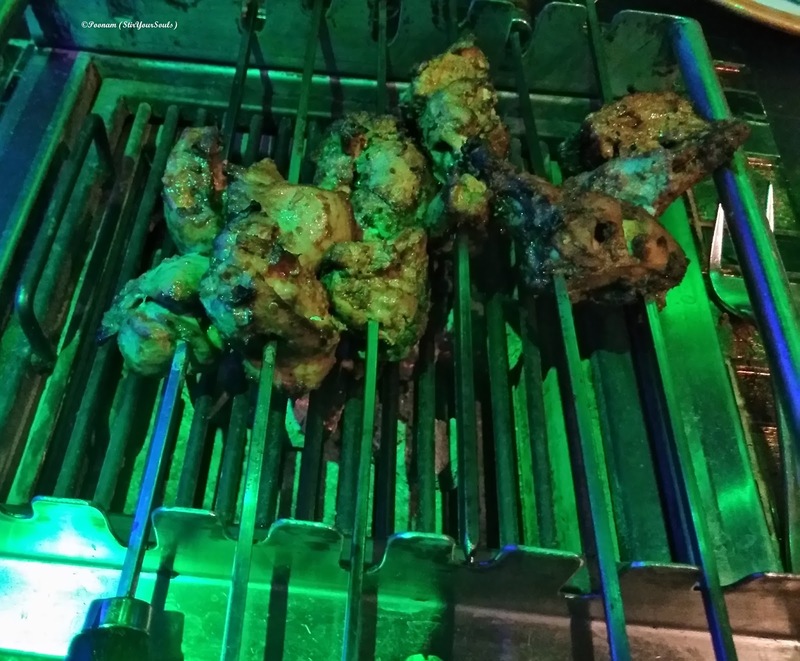 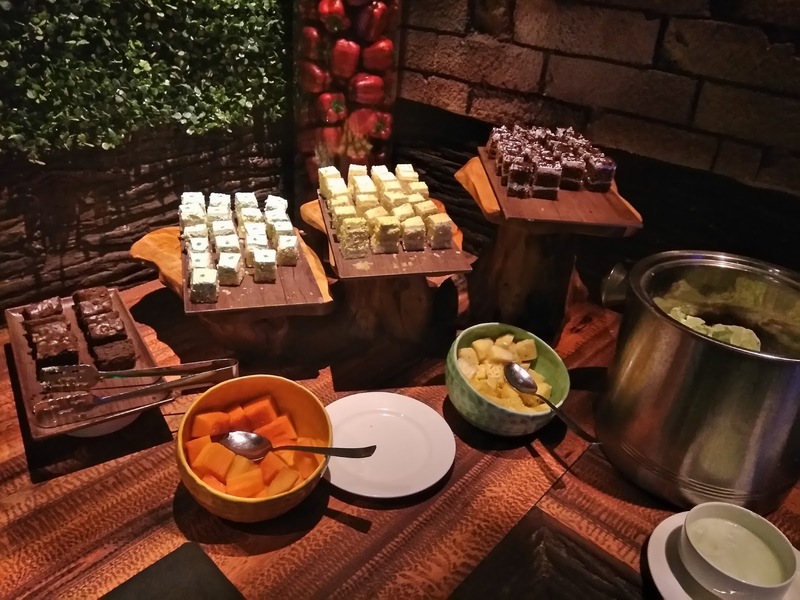 While there has been a mushrooming of party places in Delhi quite lately, in the food sector, Jungle Jamboree is one of the few places where you can see families having a good time with jolly, goofy, ecstatic children and banter over great food. 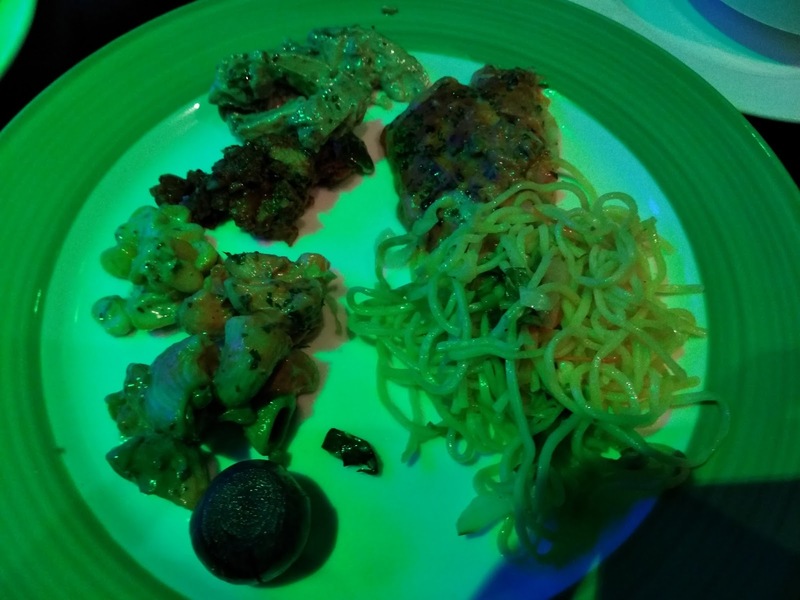 As for the food, patrons can either opt for an all-you-can-eat buffet or Ala Carte as per their liking. 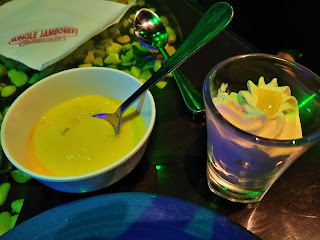 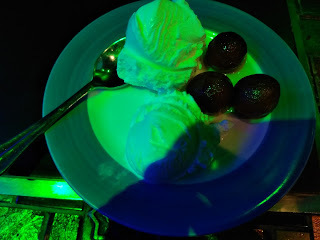 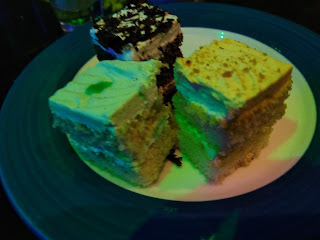 But, one thing's for sure - with a number of similar outlets as far as their food concept is concerned, like Pirates of Grill or Barbeque Nation - I've had food at all three places now - and Jungle Jamboree is a clear winner with their variety in food and bang for the buck. 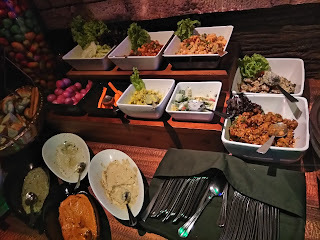 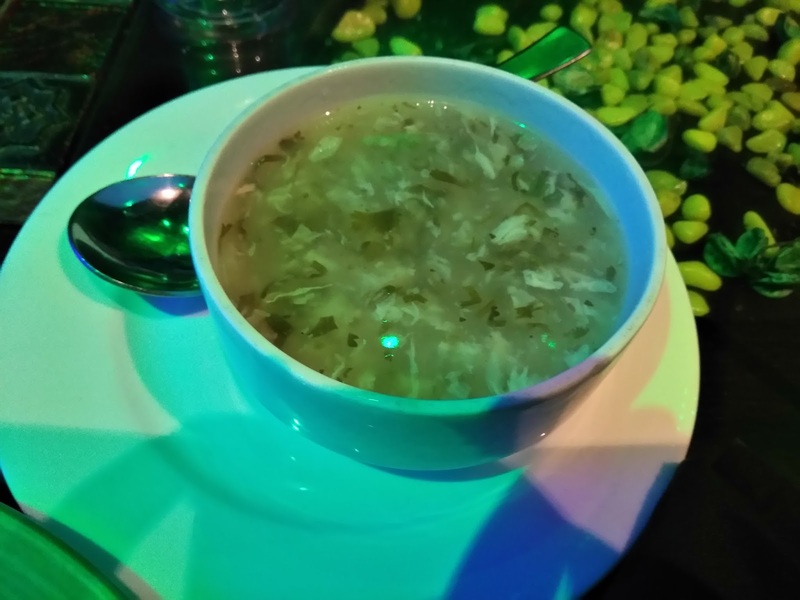 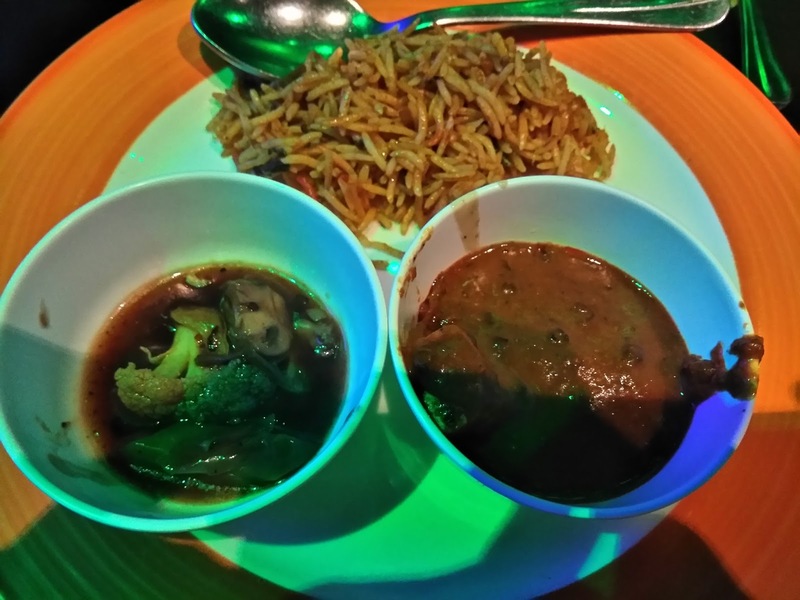 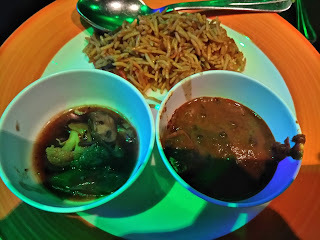 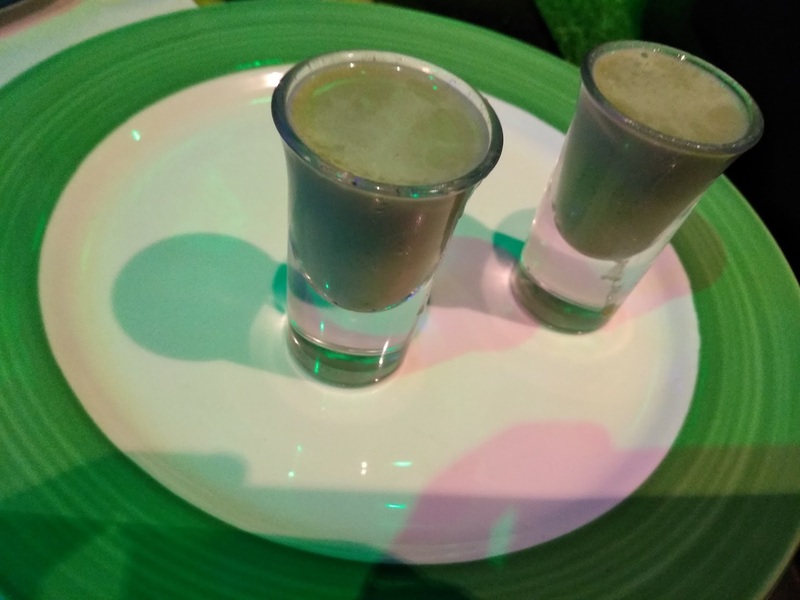 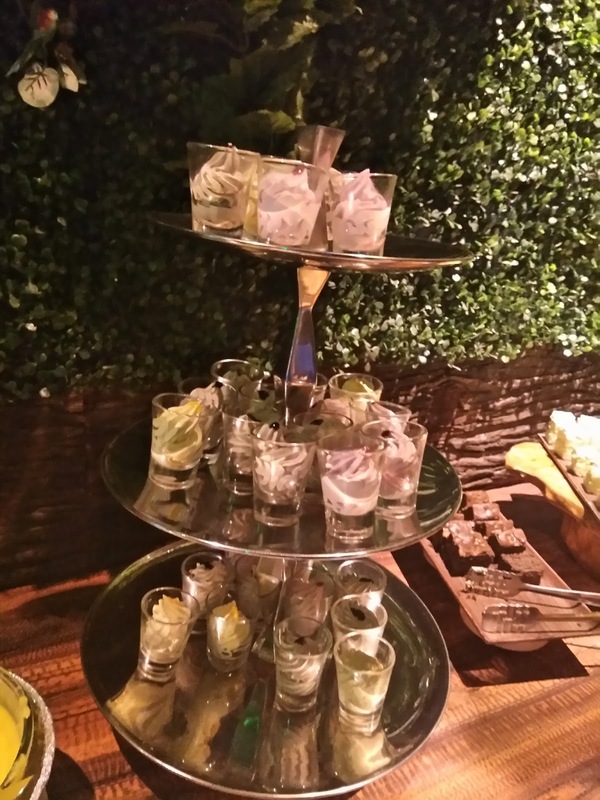 What appealed to me was their concept of a seven-course buffet (Indian Chaats, Soups & Salads, Indian Appetizers, Global Appetizers, Indian Main Course, Global Main Course, Desserts, and Paired Drinks) with quite a lot of variety, quick service and good taste. While a couple of courses were duly served by stewards, rest of them were self-service to a laid out buffet. 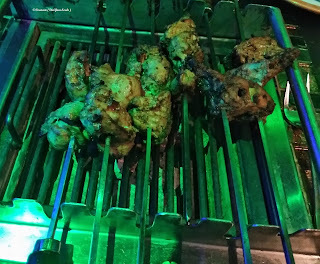 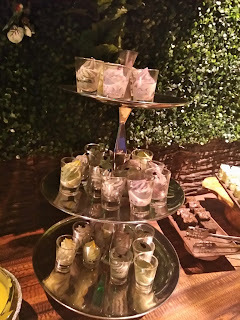 There was also an on-table grill for skewered appetisers. I would love to recommend their Lasagne and Paan Shots and Ice-cream. Lovely preparation with the Lasagne, the right number of layers and the perfect veggies stuffed, while the Paan dishes were nice on the Gulkand flavour.